The month of March was a big one for AgrAbility of Wisconsin! 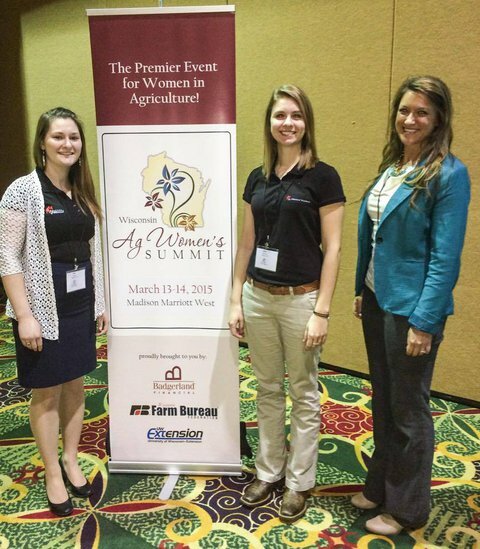 Participation in three farm shows, two conferences, and eight newspaper appearances, coupled with the success of the 2015 AgrAbility of Wisconsin Summit, led to a record-breaking 28 new and re-opened clients. Farm shows attended included the Eau Claire Farm Show and Wisconsin Public Service Farm Show. AAW also had a presence at the Spring Ginseng Grower's meeting, Wisconsin Ag Women's Summit, and the Professional Dairy Producers of Wisconsin business conference. Another Wisconsin record was broken with the success of the 2015 AgrAbility of Wisconsin Summit. 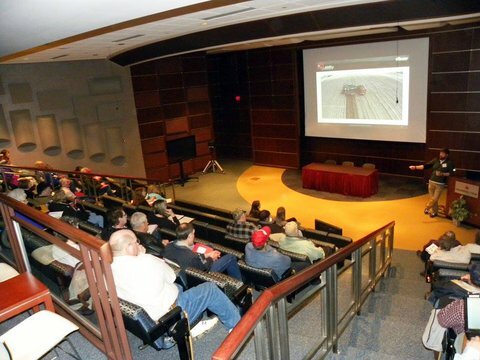 Sixty farmers, health professionals, and AAW staff members gathered at the National Farm Medicine Center at the Marshfield Clinic to learn about technology, pain management, finances, and hot topics in agriculture. 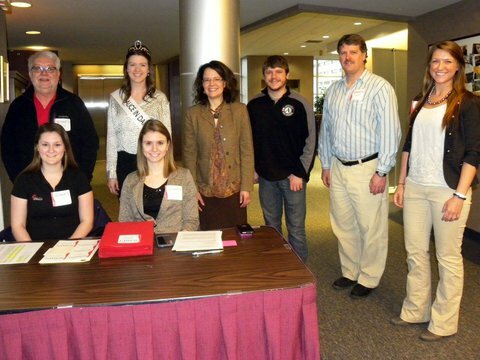 Special guest, Zoey Brooks (Alice in Dairyland), joined the event to discuss the importance of agriculture in Wisconsin. Speakers included Keith Posselt, an AgrAbility client, and Brian Luck, AgrAbility co-director. Karen Gefvert of Wisconsin Farm Bureau, Dr. Kevin Bernhardt of UW-Platteville and the Wisconsin Center for Dairy Profitability, and Tanya Schaer, OTA from Ministry St. Joseph's hospital, also provided valuable insight during their respective presentations. AgrAbility of Wisconsin would like to thank the National Farm Medicine Center for hosting the event and providing lunch to attendees. Staff are looking forward to the 2016 summit- date and location to be determined.